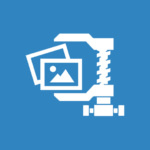 Are you unsatisfied with the build in file compression in Microsoft Windows 10? Frankly speaking, the file compression in Windows is pretty decent, depending on what you are compressing, the algorithm does a pretty good job. Having said that, if you’re looking for something that gives a higher compression ration due to the limited storage capability such as email, you will find these alternatives a better choice. 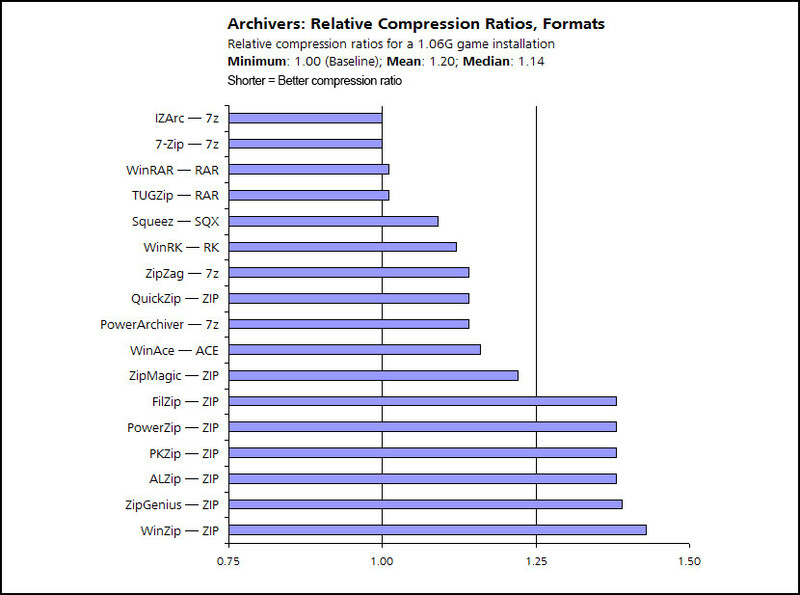 Personally, I find both 7-Zip and IZArc reliable and good. However, I am somewhat bias towards 7-Zip because I’ve been using 7-Zip for quite some time, IZArc comes with more features such as reading ISO files, but the biggest issue I have with them is their sneaky way of installing third party software. 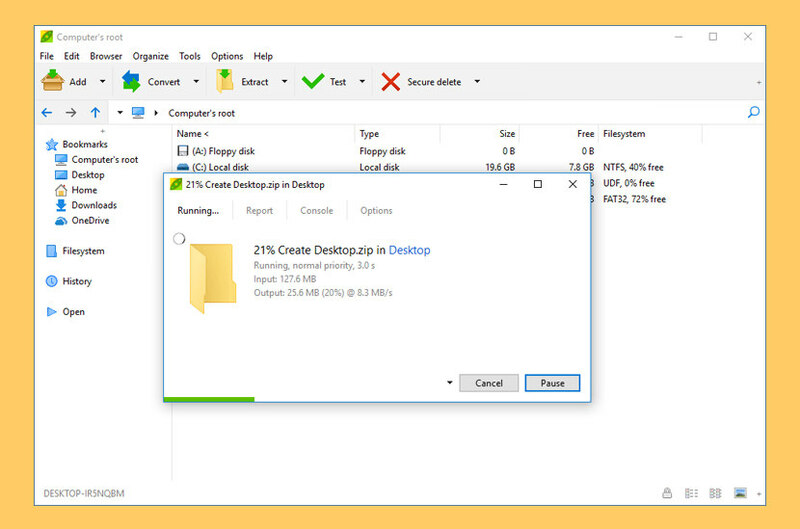 7-Zip uses its own 7z archive format, but can read and write several other archive formats. The program can be used from a command-line interface, graphical user interface, or with a window-based shell integration. 7-Zip began in 1999 and is developed by Igor Pavlov. The cross-platform version of the command-line utility, p7zip, is also available. Supported formats: Packing / unpacking: 7z, XZ, BZIP2, GZIP, TAR, ZIP, WIM, AR, ARJ, CAB, CHM, CPIO, CramFS, DMG, EXT, FAT, GPT, HFS, IHEX, ISO, LZH, LZMA, MBR, MSI, NSIS, NTFS, QCOW2, RAR, RPM, SquashFS, UDF, UEFI, VDI, VHD, VMDK, WIM, XAR and Z.
WinRAR is a powerful archive manager. It can backup your data and reduce the size of email attachments, decompress RAR, ZIP and other files downloaded from Internet and create new archives in RAR and ZIP file format. You can try WinRAR before buy, its trial version is available in downloads. After the trial period expires, the program will start to nag you to buy it every time you open up a zip, rar, etc. You can still use the software, but with the nag screen. Works great on Microsoft’s Windows 10 and Apple’s macOS. Nearly all computer users come across file archives in different formats, e.g. the wide-spread ZIP format. 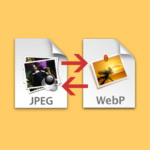 Compressed files are easy to store and share. Ashampoo ZIP Free bundles essential features like reading and writing of archives in a single free application. Ashampoo ZIP Free supports comfort features such as jump lists and the display of progress on taskbar icons for Windows 7 and Windows 8. The user interface employs the Windows 8 tile-based design with quick access to all essential features. And just like in Windows 8, tiles can be rearranged for personalization. PeaZip is free file archiver utility, based on Open Source technologies of 7-Zip, p7zip, FreeArc, PAQ, and PEA projects. Cross-platform, full-featured but user-friendly alternative to WinRar, WinZip and similar general purpose archive manager applications, works with 180+ archive formats: 001, 7Z, ACE, ARC, ARJ, BZ2, CAB, DMG, GZ, ISO, LHA, PAQ, PEA, RAR, TAR, UDF, WIM, XZ, ZIP ZIPX – view full list of supported file formats for archiving and extraction. PeaZip provides fast, high compression ratio multi-format archiving – view file compression and decompression benchmarks for more information. This software deploys a powerful and complete file manager, featuring a wide set of data security functions: strong encryption, encrypted password manager, secure delete, and file hashing. IZArc is the best free file compression utility supporting many archive formats like: 7-ZIP, A, ACE, ARC, ARJ, B64, BH, BIN, BZ2, BZA, C2D, CAB, CDI, CPIO, DEB, ENC, GCA, GZ, GZA, HA, IMG, ISO, JAR, LHA, LIB, LZH, MDF, MBF, MIM, NRG, PAK, PDI, PK3, RAR, RPM, TAR, TAZ, TBZ, TGZ, TZ, UUE, WAR, XPI, XXE, YZ1, Z, ZIP, ZOO. With a modern easy-to-use interface, IZArc provides support for most compressed and encoded files, as well as access to many powerful features and tools. It allows you to drag and drop files from and to Windows Explorer, create and extract archives directly in Windows Explorer, create multiple archives spanning disks, creating self-extracting archives, repair damaged zip archives, converting from one archive type to another, view and write comments and many more. IZArc has also build-in multilanguage support. With IZArc you can open CD image files like ISO, BIN, CDI and NRG. It is also possible to convert such files from one type to another (BIN to ISO, NRG to ISO). If you need to send large files to your colleagues, friends or customers who may not have archiving tool you can easily create self-extracting archive that can be extracted by simple double click. IZArc can be configured to run your preferred Anti-Virus scanner when you open any archives. IZArc supports 256-bit AES encryption to secure your data. IZArc is integrated in Windows so you can perform all archiving operations by using right-click menus in Windows Explorer. If you have broken archives IZArc can help you to repair them with ease. IZArc is 100% virus free. IZArc is the most complete archive utility available today. Zipware is simple and free zip software for Microsoft Windows that supports all major archiving formats including the new RAR5 format. Zipware has been designed to be simple, fast and stable to handle both small and large archives with millions of files. Zipware also supports many Linux archive formats such as tar and gzip. Zipware is freeware forever! Create password protected archives encrypted using AES-256 encryption. Convert any of the archive formats listed above to zip, 7z or exe. Calculate MD5, SHA-1 and SHA-256 checksums for any file (also integrated into Explorer’s context menu). 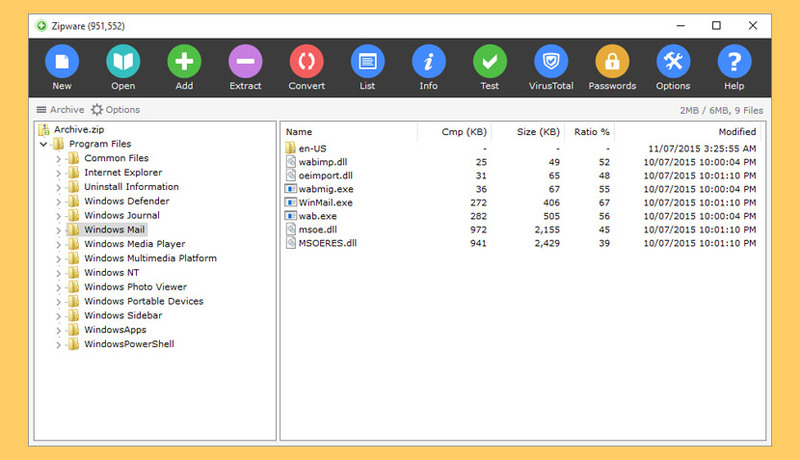 Password Manager for storing passwords and confidential information. Zipware’s program files are signed by a Verisign/Symantec digital certificate to prevent tampering after publication. Hamster Free ZIP Archiver is a New Zip Tool for compression & encryption with improved Very Fast Zip algorithm. Hamster ZIP Archiver is a powerful and modern archival program that allows users to easily compress and open files from any archive. Users can use popular cloud technologies to conveniently create copies of important files, quickly send vacation photos to family members, or share projects with colleagues in just 2 clicks. B1 archive is an open archive format which combines best proven solutions and our new original ideas. It’s free and available for both personal and commercial use. 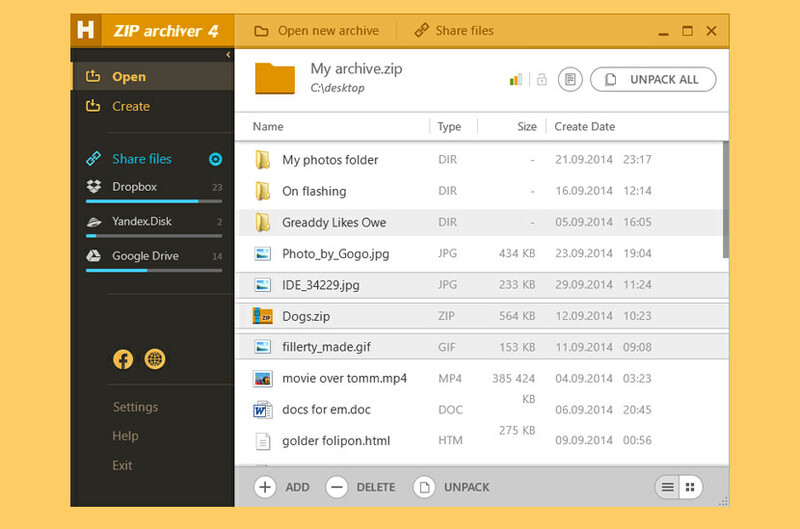 B1 Free Archiver is a free multi-platform universal archiver. 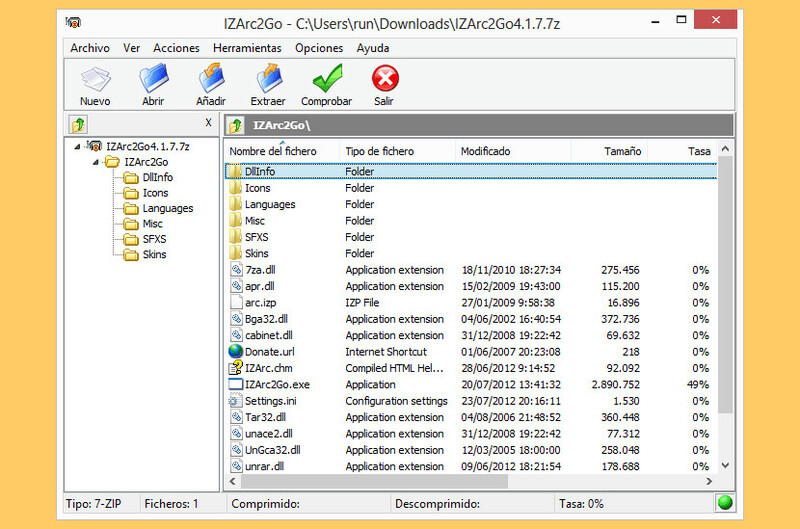 Currently it works on Windows, Mac, Linux and Android; moreover B1 Online Archiver allows you to uncompress .b1, zip, rar or .7z archive from your computer directly online. Best speed to compression ratio – Though classic LZMA compression has been improving for over a decade, there are still some options to explore. For b1 we designed an improved compression algorithm with much better speed to compression ratio. Encryption with password – With encryption you can protect data with 256 bit AES encryption algorithm. No one will be able to read or extract original files without a password. 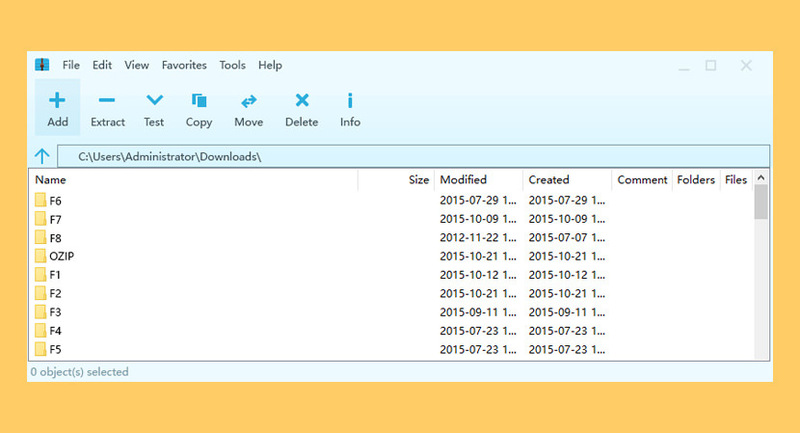 Bandizip is a lightweight, fast and free All-In-One Zip Archiver. Bandizip has a very fast Zip algorithm for compression & extraction with Fast Drag and Drop, High Speed Archiving, and Multi-core compression. 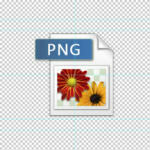 It handles the most popular compression formats, including Zip, 7z, Rar, and so on. Bandizip supports various formats including RAR(part1.rar, r01), ACE, AES, ALZ, APK, ARJ, BH, BIN, BZ, BZ2, CAB, EGG, GZ, J2J, JAR, IMG, IPA, ISZ, LHA, LZMA, PMA, TBZ, TBZ2, TGZ, TLZ, TXZ, UDF, WAR, WIM, XPI, XZ, and Z.
High-class Encryption – ZipCrypto and AES 256 encryption algorithms are supported for higher security. Split Compression and Extraction for Diverse Formats – Bandizip supports split compression to certain size, such as 10MB or 700MB. A Safe, Fast and Free Compression. OZIP has the best compression algorithm for your computer. 30% faster than traditional compression software without sacrificing the compression ratio! Support decompression 39 formats including .ZIP .7Z .RAR and so on.